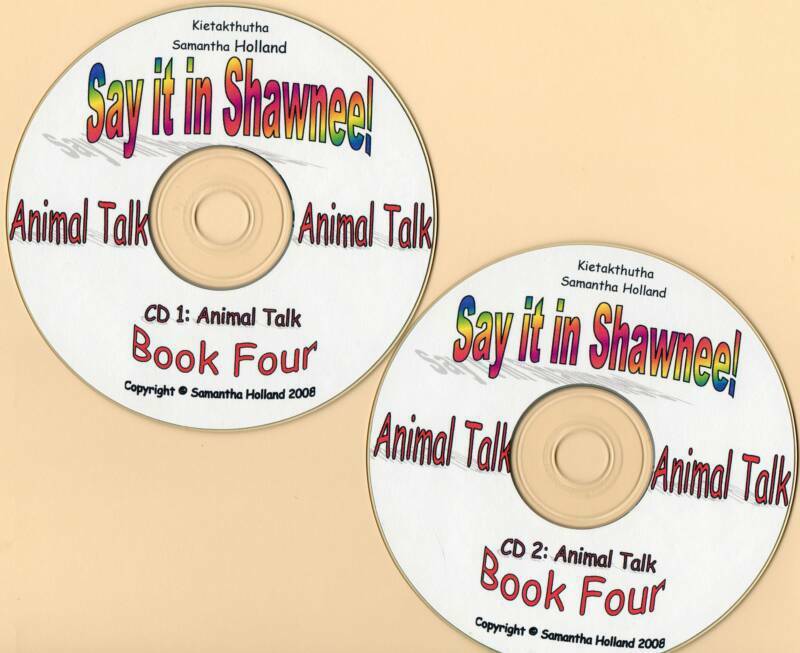 This is the forth in a series of books emphasizing conversational Shawnee. We live on a small farm and our lives seem to revolve around our animals. I wrote this book to aid in converstions about animal activities-name of animals, caring for animals, pets, clans, animal things and hunting. 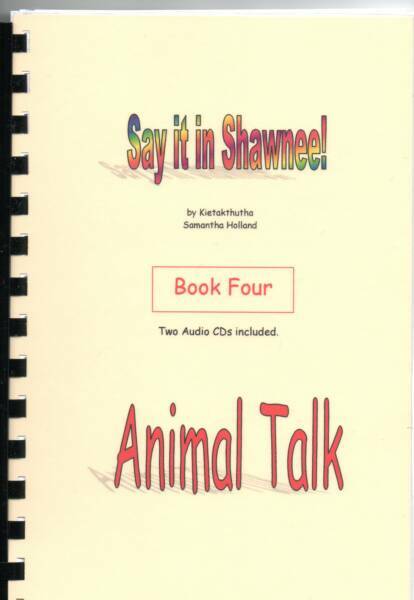 This 104 page book and 2 audio CD’s were created for those who are interested in Shawnee words regarding the animals. This book includes the Shawnee animal words, words about clan animals and pets. It includes words regarding animal care, animals things, animal sounds, animal feed and hunting.